Ok, cliffhanger from episode 1,was there is 'bad news'. Today that's revealed to be the build is due in 5-weeks (instead of 10). What does THIS mean? 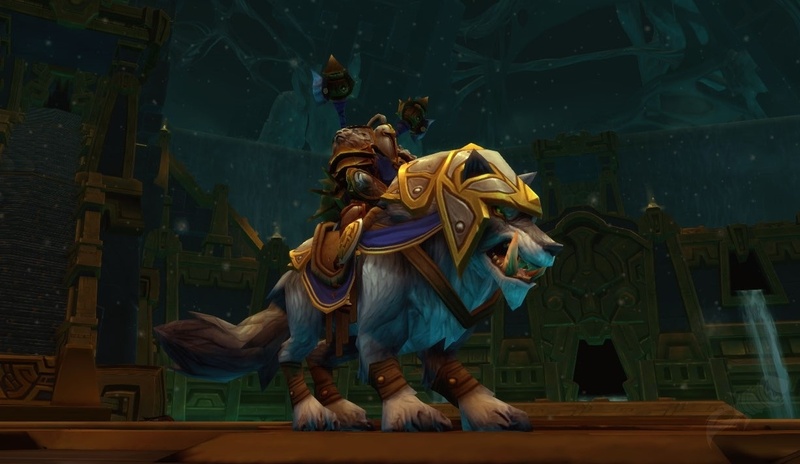 IS the plan to have this release with WoD? 5 week build of real bike, then voting for 5 weeks, then digitizing for in-game for last 5 weeks. Say 15 weeks until release of game?? :) Probably not, I bet the December release date if fairly firm (landing 1 month after Blizzcon). Or is the plan, 28 weeks till Blizzcon, so have the results of the voting done before then and then the big winner revealed, on stage, in front of all attendees. I'd love to show up there and pose on the Horde bike personally.. :) I guess that depends on Blizzard's release schedule. Is Episode 3 a week or a day after today's release? 25 days to build the bikes, probably an episode every other day (show more progress), for 13 build episodes. My guess, they are already about half done in RL. Elkagorasa's Prediction... Blizzcon attendees get both bikes, no matter the voting winner!! Everyone else only the Horde trike.